We offer several modalities to help patients in the acute phase of treatment: heat and cold therapy, electrical stimulaton (E-Stim), Cold Laser, The Pettibon System and massage. These modalities focus on reducing inflammation, pain relief and muscle tension. Our therapy department is a calm, relaxing environment designed to promote healing and comfort. Dr. Smith always customizes a therapy protocol for each patient to assist them in eliminating pain and to promote optimal healing. During this therapy electrical stimulation is applied to the areas of concern to reduce muscle spasms and pain. 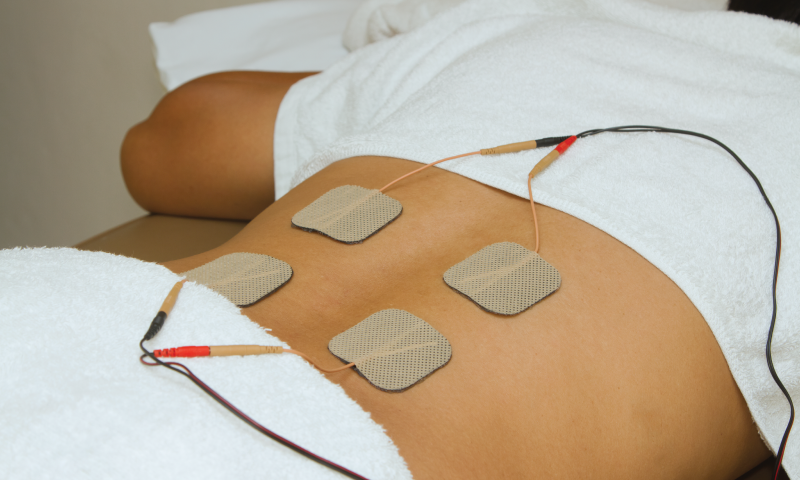 E-stim helps relieve the muscle spasms many patient experience by increasing blood flow and relieving muscle tension. It can also aid in decreasing inflammation and swelling of affected tissues. Heat therapy works by improving circulation and blood flow to a particular area due to increased temperature. Increasing the temperature of the afflicted area even slightly can soothe discomfort and increase muscle flexibility. Heat therapy can relax and soothe muscles and heal damaged tissue. Cold therapy is also known as cryotherapy. It works by reducing blood flow to a particular area, which can significantly reduce inflammation and swelling that causes pain, especially around a joint or a tendon. It can temporarily reduce nerve activity, which can also relieve pain. Low-level laser (light) therapy (LLLT) is a fast-growing technology used to treat a multitude of conditions that require stimulation of healing, relief of pain and inflammation, and restoration of function. Unlike hot lasers used for surgical procedures, low level lasers are called cold lasers and are used for healing precise areas of concern. The benefits of LLLT treatments are the accelerated cellular reproduction and growth, faster wound healing, and increased vascular activity by stimulating lymph and blood circulation. LLLT has also been shown to help the body increase output of specific enzymes, greater oxygen to blood cells and more effective immune response are induced by laser. Laser treatments can also reduce swelling caused by bruising or inflammation of joints to give improved joint mobility. Our liscensed massage therapist offers both therapeutic massages in 15 min session as part of your daily visits, and 30 & 60 minute relaxation massages throughout the day. When used with chiropractic treatments, massage is great for physical injuries such as those that happen in car accidents, sport injuries, or a variety of other daily activities which can cause muscle stiffness an tension. The immune system is stimulated by both massage and chiropractic treatments which allow the body's natural energy to heal itself. The Pettibon System is a proven spine and posture correction method that helps with providing pain relief, as well as, helps to restore normal spinal form and function. With instruction from our therapy department, you will play an important role in this correction by personally strengthening the weak areas that initially allowed your condition to develop. We will help guide you through a complete rehabilitation program that will help provide permanent correction. Why is Pettibon different you ask? Patients are given the tools and information to actively participate in their care both in the clinic, and at home! 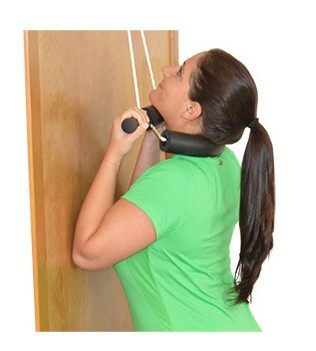 When patients come to the clinic, they will often prepare for their adjustments by doing warmup exercises and stretching their muscles, ligaments, and discs using the Wobble Chair and the Repetitive Cervical Traction unit. Warm up exercises help to hydrate the disc and increase disc height. This prepares the spine for a treatment that will have staying power. The Wobble Chair Benefits provide exercise motion needed for lumbar disc mobility, re-hydration, nutrition delivery and waste elimination. Also, aids in reducing back pain. Using for 10-12 minutes can help reduce low back pain and increase flexibility, all while hydrating discs. The Wobble Chair also assists in the healing of disc bulges and tears, enhances oxygenation of blood and stimulates metabolism, and helps circulate CSF (fluid that nourishes the brain & spinal cord). With The Pettibon System, strengthening postural muscles and building endurance is an ongoing process. To accomplish this goal, patients will use various pieces of equipment in the clinic and special rehabilitation equipment at home to get the best results.